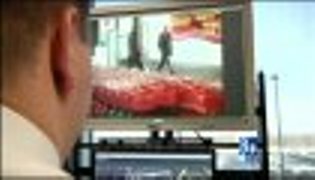 Las Vegas is one of the Top 10 in ORC activity in the U.S. and here's there local story with Target taking a major role in the video with interviews of LP executives and crime footage. LAS VEGAS - Primetime crime dramas like "CSI" feature forensic investigators who are trained to solve thrilling murder mysteries through cutting-edge scientific methods. Some corporations are also using modern technology and old-fashioned police work to catch shoplifters. Target operates two state-of-the-art forensic laboratories - one in Minneapolis and one in Las Vegas. "We specialize in forensic video, audio, image analysis, and latent fingerprint examinations. These allow us to recover and analyze evidence for Target," said Rick Lautenbach with Target Forensic Services. "Investigations Centers are a critical part of our strategy to resolve organized retail crime activity and help support safe and secure environments," said Target team member Nate Hartle. The chain works with law enforcement to gather and analyze evidence to stop thieves in their tracks. A chart maps out a crime ring's network.